Today, Georgia Tech is organized into six colleges and contains about 31Â departments/units, with emphasis on science and technology. It is well recognized for its degree programs in engineering, computing, business administration, the sciences, architecture, and liberal arts. Georgia Tech's main campus occupies part of Midtown Atlanta, bordered by 10th Street to the north and by North Avenue to the south, placing it well in sight of the Atlanta skyline. In 1996, the campus was the site of the athletes' village and a venue for a number of athletic events for the 1996 Summer Olympics. The construction of the Olympic village, along with subsequent gentrification of the surrounding areas, enhanced the campus. On October 13, 1885, Georgia Governor Henry D. McDaniel signed the bill to create and fund the new school. In 1887, Atlanta pioneer Richard Peters donated to the state 4 acres (1.6Â ha) of the site of a failed garden suburb called Peters Park. The site was bounded on the south by North Avenue, and on the west by Cherry Street. He then sold five adjoining acres of land to the state for US$10,000, equivalent to about US$262,481.48 now. This land was located near the northern city limits of Atlanta at the time of its founding, although the city has now expanded several miles beyond it. A historical marker on the large hill in Central Campus notes that the site occupied by the school's first buildings once held fortifications built to protect Atlanta during the Atlanta Campaign of the American Civil War. The surrender of the city took place on the southwestern boundary of the modern Georgia Tech campus in 1864. Georgia Tech's Evening School of Commerce began holding classes in 1912. The evening school admitted its first female student in 1917, although the state legislature did not officially authorize attendance by women until 1920. Annie T. Wise became the first female graduate in 1919 and went on to become Georgia Tech's first female faculty member the following year. Rena Faye Smith, appointed as a research assistant in the School of Physics in 1969 by Dr. Ray Young, in X-Ray Diffraction, became the first female faculty member (research) in the School of Physics. She went on to earn a Ph.D. at Georgia State University and taught physics and instructional technology at Black Hills State University - 1997-2005 as Rena Faye Norby. She served as a Fulbright Scholar in Russia 2004-2005. In 1931, the Board of Regents transferred control of the Evening School of Commerce to the University of Georgia (UGA) and moved the civil and electrical engineering courses at UGA to Tech. Tech replaced the commerce school with what later became the College of Business. The commerce school would later split from UGA and eventually become Georgia State University. In 1934, the Engineering Experiment Station (later known as the Georgia Tech Research Institute) was founded by W. Harry Vaughan with an initial budget of $5,000 ($88,147 today) and 13 part-time faculty. Tech first admitted female students to regular classes in 1952, although women could not enroll in all programs at Tech until 1968. Industrial Management was the last program to open to women. The first women's dorm, Fulmer Hall, opened in 1969. Women constituted 30.3% of the undergraduates and 25.3% of the graduate students enrolled in Spring 2009. In 1959, a meeting of 2,741Â students voted by an overwhelming majority to endorse integration of qualified applicants, regardless of race. Three years after the meeting, and one year after the University of Georgia's violent integration, Georgia Tech became the first university in the Deep South to desegregate without a court order. There was little reaction to this by Tech students; like the city of Atlanta described by former Mayor William Hartsfield, they seemed "too busy to hate". For $290,000, the university bought the property containing the former Pickrick Restaurant, which it first used as a placement center. Later, it was known as the Ajax Building. It was razed in 2009. The Georgia Tech campus is located in Midtown, an area north of downtown Atlanta. Although a number of skyscrapersâ"most visibly the headquarters of AT&T, The Coca-Cola Company, and Bank of Americaâ"are visible from all points on campus, the campus itself has few buildings over four stories and has a great deal of greenery. This gives it a distinctly suburban atmosphere quite different from other Atlanta campuses such as that of Georgia State University. Central Campus is home to the majority of the academic, research, and administrative buildings. The Central Campus includes, among others: the Howey Physics Building; the Boggs Chemistry Building; the College of Computing Building; the Klaus Advanced Computing Building; the College of Architecture Building; the Skiles Classroom Building, which houses the School of Mathematics and the School of Literature, Media and Culture; the D. M. Smith Building, which houses the School of Public Policy; and the Ford Environmental Science & Technology Building. In 2005, the School of Modern Languages returned to the Swann Building, a 100-year-old former dormitory that now houses some of the most technology-equipped classrooms on campus. Intermingled with these are a variety of research facilities, such as the Centennial Research Building, the Microelectronics Research Center, the Neely Nuclear Research Center, the Nanotechnology Research Center, and the Petit Biotechnology Building. In 1999, Georgia Tech began offering local degree programs to engineering students in Southeast Georgia, and in 2003 established a physical campus in Savannah, Georgia. 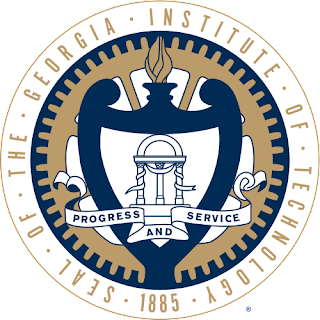 Until 2013, Georgia Tech Savannah offered undergraduate and graduate programs in engineering in conjunction with Georgia Southern University, South Georgia College, Armstrong Atlantic State University, and Savannah State University. The university further collaborated with the National University of Singapore to set up The Logistics Institute â" Asia Pacific in Singapore. The campus now serves the institute's hub for professional and continuing education and is home to the regional offices of the Georgia Tech Enterprise Innovation Institute, the Savannah Advanced Technology Development Center, and the Georgia Logistics Innovation Center. Georgia Tech also operates a campus in Metz, in northeastern France, known as Georgia Tech Lorraine. Opened in October 1990, it offers master's-level courses in Electrical and Computer Engineering, Computer Science and Mechanical Engineering and Ph.D. coursework in Electrical and Computer Engineering and Mechanical Engineering. Georgia Tech Lorraine was the defendant in a lawsuit pertaining to the language used in advertisements, which was a violation of the Toubon Law. The College of Architecture maintains a small permanent presence in Paris in affiliation with the Ãcole d'architecture de Paris-La Villette and the College of Computing has a similar program with the Barcelona School of Informatics at the Polytechnic University of Catalonia in Barcelona, Spain. There are additional programs in Athlone, Ireland, Shanghai, China, and Singapore. Georgia Tech will set up two campuses for research and graduate education in the cities of Visakhapatnam and Hyderabad, Telangana, India by the year 2010. Georgia Tech Cable Network, or GTCN, is the college's branded cable source. Most non-original programming is obtained from Dish Network. GTCN currently has 100Â standard-definition channels and 23Â high-definition channels. The student body consists of more than 20,000Â graduate and undergraduate students (Fall 2010) and around 1,000Â full-time academic faculty (Fall 2013). The student body at Georgia Tech is 68% male and 32% female. Female enrollment at Georgia Tech is low. However, this is slowly changing due to the university's growing liberal arts programs and outreach programs to encourage more female high school students to consider careers in science and engineering as well as changes in the admissions process. These include the "Women In Engineering" program and sponsorship of a chapter of The Society of Women Engineers. For the fall of 2010, close to 36% of incoming freshmen were female students. Around 50â"55% of all Georgia Tech students are residents of the state of Georgia, around 20% come from overseas, and 25â"30% are residents of other U.S. states or territories. The top states of origin for all non-Georgia US students are Florida, Texas, California, North Carolina, Virginia, New Jersey, and Maryland. Students at Tech represent 114 countries and all 50 states. The Georgia Institute of Technology is a public institution that receives funds from the State of Georgia, tuition, fees, research grants, and alumni contributions. In 2010, the Institute's revenue amounted to about $1.159 billion. Nineteen percent came from state appropriations and grants while 15% originated from tuition and fees. Grants and contracts accounted for 49% of all revenue. Expenditures were about $1.094 billion. Forty-five percent went to research and 20% went to instruction. The Georgia Tech Foundation runs the university's endowment and was incorporated in 1932. It includes several wholly owned subsidiaries that own land on campus or in Midtown and lease the land back to the Georgia Board of Regents and other companies and organizations. Assets totaled $1.438 billion and liabilities totaled $0.438 billion in 2010. Assets are down from a high of $1.646 billion in 2008. Georgia Tech has the most generous alumni donor base, percentage wise, of any public university ranked in the top 50. Georgia Tech is consistently ranked among the best universities in the United States and the world. For over a decade, Georgia Tech has remained in the top ten public universities in the United States. In 2012, The Times Higher Education World University Rankings ranked Georgia Tech 19th in the United States and 25th in the world; its engineering program was ranked 9th in the world. As of 2015, Tech's undergraduate engineering program is ranked 4th and its graduate engineering program is ranked 6th by U.S. News & World Report. Tech's undergraduate engineering programs include Aerospace (2nd), Biomedical (2nd), Chemical (6th), Civil (3rd), Computer (6th), Electrical (5th), Environmental (3rd), Industrial (1st), Materials (4th), and Mechanical (3rd). Tech's graduate engineering programs include Aerospace (5th), Biomedical/Bioengineering (2nd), Chemical (10th), Civil (5th), Computer (7th), Electrical (6th), Environmental (4th), Industrial (1st), Materials (9th), Mechanical (5th), and Nuclear (8th). In 2010, Georgia Tech's College of Business rose from 31st to 28th, continuing its rapid upward trend Diverse Issues in Higher Education has ranked Tech No. 1 at the bachelor's level, No. 2 at the master's level, and No. 1 at the doctoral level in terms of producing African American engineering graduates. In 2010, U.S. News & World Report ranked Tech as the No. 28 MBA program. Tech also boasts the No. 29 Physics program in the nation, specializing in Nonlinear Dynamics (in which it ranks 5th nationwide) and Condensed Matter Physics. U.S. News & World Report ranked the graduate chemistry program at No. 26 overall with the Physical Chemistry specialty ranked at No. 14. The Math department is ranked at No. 30 overall and at No. 8 in Discrete Math and Combinatorics. Georgia Tech ranks #9 among "Best Engineering Colleges By Salary Potential" in the United States. In 2015, Georgia Tech was ranked 2nd among public universities and 8th among all universities in the United States for studentsâ return on investment. The oldest of those research institutes is a nonprofit research organization referred to as the Georgia Tech Research Institute (GTRI). GTRI provides sponsored research in a variety of technical specialties including radar, electro-optics, and materials engineering. Around forty percent (by award value) of Georgia Tech's research, especially government-funded classified work, is conducted through this counterpart organization. GTRI employs over 1,500 people and had $205 million in revenue in fiscal year 2010. The other institutes include: the Parker H. Petit Institute for Bioengineering & Bioscience, the Georgia Tech Institute for Electronics and Nanotechnology, the Georgia Tech Strategic Energy Institute, the Brook Byers Institute for Sustainable Systems, the Georgia Tech Manufacturing Institute, the Institute of Paper Science and Technology, Institute for Materials and the Institute for People and Technology. Many startup companies are produced through research conducted at Georgia Tech, with the Advanced Technology Development Center and VentureLab ready to assist Georgia Tech's researchers and entrepreneurs in organization and commercialization. The Georgia Tech Research Corporation serves as Georgia Tech's contract and technology licensing agency. Georgia Tech is ranked fourth for startup companies, eighth in patents, and eleventh in technology transfer by the Milken Institute. Georgia Tech and GTRI devote 1,900,000 square feet (180,000Â m2) of space to research purposes, including the new $90 million Marcus Nanotechnology Building, one of the largest nanotechnology research facilities in the Southeastern United States with over 30,000 square feet (2,800Â m2) of clean room space. Georgia Tech and Emory University have a strong research partnership and jointly administer the Emory-Georgia Tech Predictive Health Institute. They also, along with Peking University, administer the Wallace H. Coulter Department of Biomedical Engineering. The Graduate Cooperative Education Program, established in 1983, is the largest such program in the United States. It allows graduate students pursuing master's degrees or doctorates in any field to spend a maximum of two consecutive semesters working full- or part-time with employers. The Undergraduate Professional Internship Program enables undergraduate studentsâ"typically juniors or seniorsâ"to complete a one- or two-semester internship with employers. The Work Abroad Program hosts a variety of cooperative education and internship experiences for upperclassmen and graduate students seeking international employment and cross-cultural experiences. While all four programs are voluntary, they consistently attract high numbers of studentsâ"more than 3,000 at last count. Around 1,000 businesses and organizations hire these students, who collectively earn $20 million per year. Georgia Tech has a number of legends and traditions, some of which have persisted for decades. Some are well-known; for example, the most notable of these is the popular but rare tradition of stealing the 'T' from Tech Tower. Tech Tower, Tech's historic primary administrative building, has the letters "TECH" hanging atop it on each of its four sides. There have been several attempts by students to orchestrate complex plans to steal the huge symbolic letter T, and on occasion they have carried this act out successfully. One of the cherished holdovers from Tech's early years, a steam whistle blows five minutes before the hour, every hour from 7:55Â a.m. to 5:55Â p.m. The faculty newspaper is named The Whistle. In the fall of 2007, the North Avenue Apartments were opened to Tech students. Originally built for the 1996 Olympics and belonging to Georgia State University, the buildings were given to Georgia Tech and have been used to accommodate Tech's expanding population. Georgia Tech freshmen students were the first to inhabit the dormitories in the Winter and Spring 1996 quarters, while much of East Campus was under renovation for the Olympics. The North Avenue Apartments (commonly known as "North Ave") are also noted as the first Georgia Tech buildings to rise above the top of Tech Tower. Open to second-year undergraduate students and above, the buildings are located on East Campus, across North Avenue and near Bobby Dodd Stadium, putting more upperclassmen on East Campus. Currently, the North Avenue Apartments East and North buildings are undergoing extensive renovation to the faÃ§ade. During their construction, the bricks were not properly secured and thus were a safety hazard to pedestrians and vehicles on the Downtown Connector below. Two programs on campus as well have houses on East Campus: the International House (commonly referred to as the I-House); and Women, Science, and Technology. The I-House is housed in 4th Street East and Hayes. Women, Science, and Technology is housed in Goldin and Stein. The I-House hosts an International Coffee Hour every Monday night that class is in session from 6 to 7Â pm, hosting both residents and their guests for discussions. Several extracurricular activities are available to students, including over 350Â student organizations overseen by the Office of Student Involvement. The Student Government Association (SGA), Georgia Tech's student government, has separate executive, legislative, and judicial branches for undergraduate and graduate students. One of the SGA's primary duties is the disbursement of funds to student organizations in need of financial assistance. These funds are derived from the Student Activity Fee that all Georgia Tech students must pay, currently $123 per semester. The ANAK Society, a secret society and honor society established at Georgia Tech in 1908, claims responsibility for founding many of Georgia Tech's earliest traditions and oldest student organizations, including the SGA. Georgia Tech's Music Department was established as part of the school's General College in 1963 under the leadership of Ben Logan Sisk. In 1976, the Music Department was assigned to the College of Sciences & Liberal Studies, and in 1991 it was relocated to its current home in the College of Architecture. In 2009, it was reorganized into the School of Music. The Georgia Tech Glee Club, founded in 1906, is one of the oldest student organizations on campus, and still operates today as part of the School of Music. The Glee Club was among the first collegiate choral groups to release a recording of their songs. The group has toured extensively and appeared on The Ed Sullivan Show twice, providing worldwide exposure to "Ramblin' Wreck from Georgia Tech". Today, the modern Glee Club performs dozens of times each semester for many different events, including official Georgia Tech ceremonies, banquets, and sporting events. It consists of 50 to 70Â members and requires no audition or previous choral experience. The Georgia Tech Band Program, also in the School of Music, represents Georgia Tech at athletic events and provides Tech students with a musical outlet. It was founded in 1908 by 14Â students and Robert "Biddy" Bidez. The marching band consistently fields over 300Â members and invites students from other Atlanta universities who do not have football programs (Emory, Agnes Scott, Kennesaw State, etc.) to participate. Members of the marching band travel to every football game. WREK, 91.1 MHz is known as "Wrek Radio". The studio is on the second floor of the Student Center Commons. Broadcasting with 40Â kW ERP and recently approved for an increase to 100Â kW, WREK is among the nation's most powerful college radio stations. WREK is a student operated and run radio station. In April 2007, a debate was held regarding the future of the radio station. The prospective purchasers were GPB and NPR. WREK maintained its independence after dismissing the notion with approval from the Radio Communications Board of Georgia Tech. The Georgia Tech Amateur Radio Club, founded in 1912, is among the oldest collegiate amateur radio clubs in the nation. The club provided emergency radio communications during several disasters including numerous hurricanes and the 1985 Mexican Earthquake. The Technique, also known as the "â'âNique", is Tech's official student newspaper. It is distributed weekly during the Fall and Spring semesters (on Fridays), and biweekly during the Summer semester (with certain exceptions). It was established on November 17, 1911. Blueprint is Tech's yearbook, established in 1908. Other student publications include The North Avenue Review, Tech's "free-speech magazine", Erato, Tech's literary magazine, The Tower, Tech's undergraduate research journal and T-Book, the student handbook detailing Tech traditions. The offices of all student publications are located in the Student Services Building. Georgia Tech carries a strong reputation for being stressful. In 2001, The Princeton Review placed Tech among the 10 toughest colleges and universities in the United States and later reported that Tech's heavy workload led to "overly stressed" students with "minimal time for social functions". In 2002, the Review ranked Tech No. 2 on its list of colleges and universities with the "least happy students", prompting Institute officials to publish a report the following year responding to the negative publicity. The report criticized the Review for the lack of scientific rigor in its methods and referred to data from internal opinion surveys demonstrating increased student satisfaction in several areas. In 2010, The Daily Beast included Tech on its list of the 50 most stressful colleges and universities in the U.S. However, in 2010, the Daily Beast also listed Tech among the 100 happiest colleges indicating that student stress does not necessarily prevent student happiness. Among students, it is widely believed that a sacrifice of sleep, studying, or a social life defines "the Tech lifestyle". For these reasons, students commonly refer to graduation from Tech as "getting out". The Institute mascots are Buzz and the Ramblin' Wreck. The Institute's traditional football rival is the University of Georgia; the rivalry is considered one of the fiercest in college football. The rivalry is commonly referred to as Clean, Old-Fashioned Hate, which is also the title of a book about the subject. Tech has seventeen varsity sports: football, women's and men's basketball, baseball, softball, volleyball, golf, men's and women's tennis, men's and women's swimming and diving, men's and women's track and field, and men's and women's cross country. Four Georgia Tech football teams were selected as national champions in news polls: 1917, 1928, 1952, and 1990. In May 2007, the women's tennis team won the NCAA National Championship with a 4â"2 victory over UCLA, the first ever national title granted by the NCAA to Tech. Another popular fight song is "Up With the White and Gold", which is usually played by the band preceding "Ramblin' Wreck". First published in 1919, "Up with the White and Gold" was also written by Frank Roman. The song's title refers to Georgia Tech's school colors and its lyrics contain the phrase, "Down with the Red and Black", an explicit reference to the school colors of the University of Georgia and the then-budding Georgia Techâ"UGA rivalry.